This past weekend’s observance of Martin Luther King, Jr.’s birthday in the U.S. – a day full of lessons and inspiration – arrived at a critical and urgent moment. Reports suggest that in the coming days, the U.S. likely will attempt to push forward with adopting a framework for Israeli-Palestinian peace, a moment packed with potential as great as any we have seen involving this conflict in the last decade. What would MLK say? Anyone who doubts that Israelis and Palestinians can stand up and make for themselves a peaceful future – with support from friends around the world – needs to replay the video clips of the civil rights movement, especially the 1963 March on Washington. Keep replaying them until you believe it. These great moments in history can serve as both inspiration and playbook for Middle East peace. Those skeptics who say Middle East peace is a fantasy now would have called Dr. Martin Luther King, Jr. a starry-eyed idealist full of false hope then. But, Dr. King and his colleagues never let others shut them down – not with fire hoses or police dogs, and certainly not with skepticism. True, Dr. King and legions of freedom riders and civil rights marchers were dreamers, but the world never changed without someone dreaming how it could be different. They were also the best kind of realists, the kind who shaped a new reality by putting one foot on the ground in front of the other. Their victories prove that a society can overcome challenges and change attitudes that have lingered so long and run so deep that they seem permanent and intractable. No one has more to gain from this inspiration today than the majority of Israelis and Palestinians, who are trapped by a conflict that persists largely because people think it can’t end. Feeling hopeless, they do nothing. They justify their silence by asking how one person can affect such a bitter and bloody mess. Without a vocal constituency for solutions, the problem remains unsolved. At this hour, this rationalization for inaction is the most dangerous threat to peace. The politicians desperately need public engagement and popular support to progress and succeed in reaching and implementing a final status arrangement. The civil rights movement teaches that each individual can and must do something for peace. This includes individuals with the gift to inspire – like Martin Luther King, John Lewis, and Rosa Parks – but also the 200,000 others who heard the call and marched in Washington or the 25,000 that marched in Montgomery, all at great personal risk and expense. If each person invited to the March had sucumbed to skepticism and stayed home, we would not be talking about it today. Individuals in the Middle East and around the world may wonder: what can I do? What is most valuable today is raising your voice in support of a negotiated peace. Thanks to social media and email, there are any number of “micro actions” for peace that each of us can take in five minutes or less. You can spread the word on Facebook and Twitter that you will support the two parties in their negotiations. You can call into radio shows or stand on street corners, broadcasting your support for two states living side-by-side in peace and security. You can email or call your government officials to say that you stand behind them in their quest for peace. Even better than taking these steps alone, Israelis and Palestinians and everyone who cares for them can join together to show such support. The brilliance of the U.S. civil rights marches was that they modeled what a new reality of equality would look and sound like – people of every color and faith joining arms to set their nation on a new path. Seeing is believing and inspires even more action. If Dr. King looked at the Middle East today, he would see tremendous opportunity for change if only each individual played a part in realizing it. Person by person, step by step, mile by mile. The lesson of Martin Luther King, Jr.’s legacy is that if everyone who wants the Israeli-Palestinian conflict to end would do something about it, they could write a dramatic chapter of history together. Avi Meyerstein is the founder of the Alliance for Middle East Peace (ALLMEP), the coalition of 85 NGOs building people-to-people cooperation and coexistence between Israelis and Palestinians, Arabs and Jews in the Middle East. 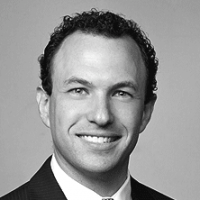 He is also a Washington, D.C. lawyer and partner at law firm Husch Blackwell LLP. The views expressed are his own.